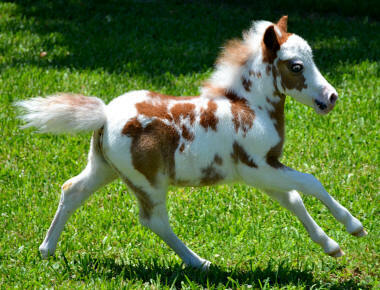 Click Here For More Miniature Horse Videos On our website you will find baby miniature horse foals for sale, miniature horse yearlings for sale, and miniature horse 2 year olds, 4 year olds and 5 year olds for sale. 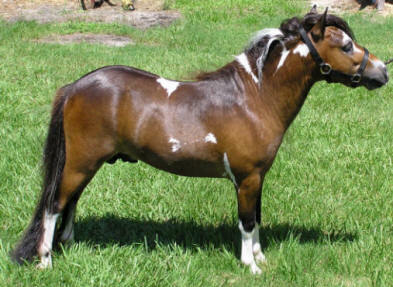 Most of our two and three year old miniature horse mares for sale have several generations of pinto breeding in their background increasing the chances of pinto producing miniature brood mares. 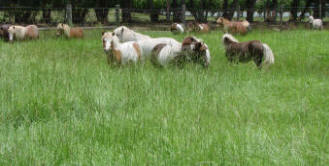 Majority of our miniature horse breeding stallions are pinto or have pinto in their background. Our additional photo gallery of past foals and past sold miniature horses show a wide variety of colors in our breeding program. 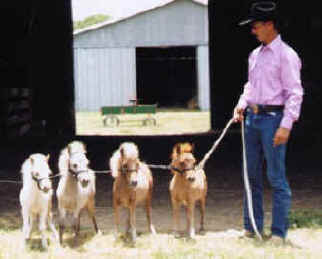 The photos span over the last 20 years and will give you an idea of what we have produced in the past.. All miniature horses on our for sale pages were born and raised on our ranch. 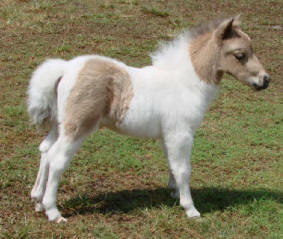 American miniature horses. Above picture is of 3 yearling fillies and 1 yearling stud colt. 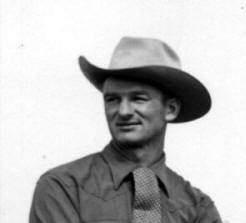 Picture of Chuck Dent taken in 1932. 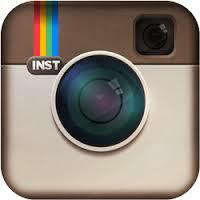 Join our Instagram and Google Plus page for updates on horses for sale. Our family history in breeding for the small horses began in 1947 when Chuck Dent purchased some mares and a stallion. 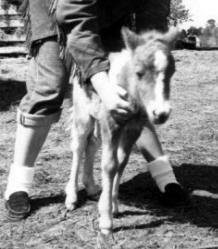 As a young man in the 1930's his father had a few small horses. 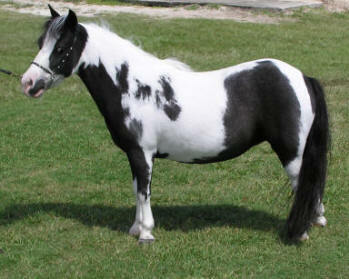 This put the idea into motion of breeding and raising the miniature horse before the idea was created on a global scale. By the mid 1950's the herd had grown to 100 broodmares. He had one stallion that measured 32 inches. From there, the beginning of breeding down for even smaller horses began. 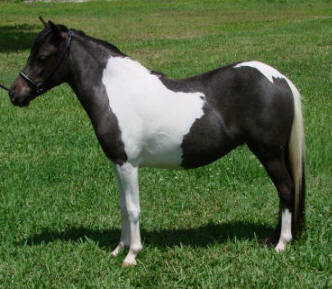 We had a wide variety of color in our miniature horses even back in the 1950's. This trend has continued over the years. 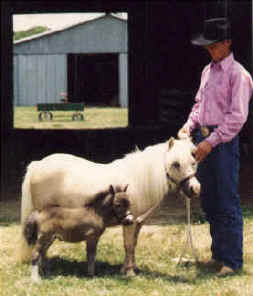 By the 1980's over 200 miniature horses roamed the pastures of the Dent Ranch. 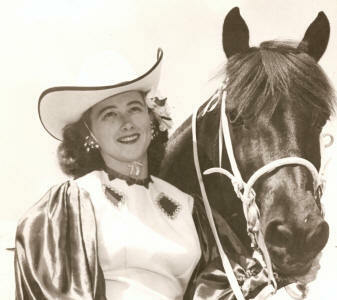 Some of the stock that we now have can be traced back to the horses we had in the 1950's. 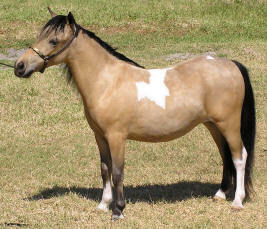 We are one of the few breeders of the small horse that has been in the business for over 60 years. We continue on the tradition that was started in 1947. Miniture horses are the next best thing to a large toy horse. 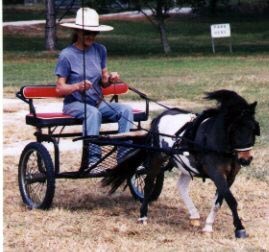 Over the years we have sold miniature horses throughout the United States from Florida to Maine to Texas to California to Alaska and Hawaii. Outside the United States we have sold to Canada, Holland, Qatar, Puerto Rico, Jamica, Aruba, Mexico, Austria, Germany, Japan, Venezuela and Columbia South America, Costa Rica Central America and China. 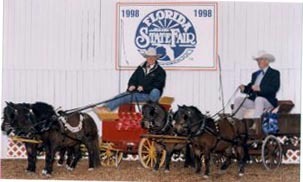 Above picture of Chuck Dent at the age of 81 at the AMHA show at the Florida State Fair. 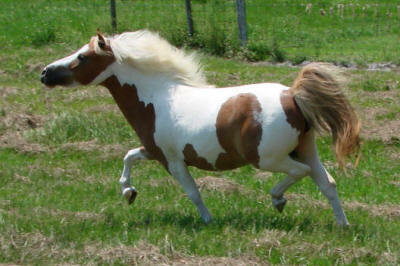 If your looking to buy miniature horses and have them transported to International countries, we can give you contact information of transporters within several hours of our ranch that have quarantine facilities along with veterinarians to do the International paper work along with required blood tests. We also have International shippers abroad we can recommend to you. They can ship miniature horses to Belize, Honduras, Panama, Costa Rica, Jamaica, Dominica Republic, Puerto Rico, Aruba, Venezuela, Colombia, Ecuador, Peru, Bolivia, Chile, Argentina, Brazil, Guyana, France, Ireland, United Kingdom, Netherlands, Germany, Switzerland, Luxembourg, Denmark, Poland, Russia, Greece, Italy, Monaco, Spain, Finland, New Zealand, Australia, Japan, South Korea, Kuwait, Qatar, China and many other countries.